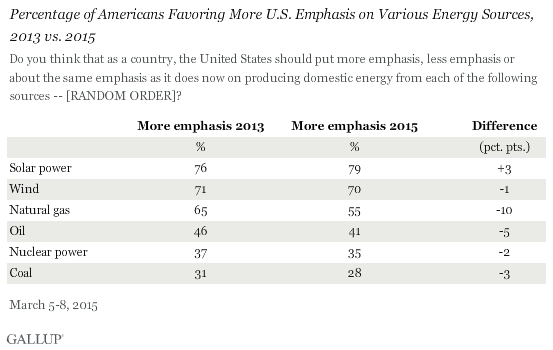 Anyway, war on coal never resonated with much conviction among ordinary Americans. For them, the EPA keeps the air and water clean, their kids safe. Last week, coal CEO Bob Murray described coal industry public relations as terrible – and while I tend to agree, the broadly negative public opinion about coal is likely a more important factor behind the coal industrys failed PR efforts. Its one thing to sell a deadly and polluting product like coal to Congress (along with campaign contributions to sweeten the deal), but actually shifting public opinion appears to be beyond the coal industrys best efforts. 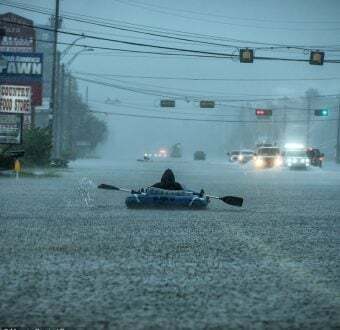 The latest round of fossil fuel zombie attacks is coming from big utilities that want to stop the spread of rooftop solar. Just like a zombie horde, they use tactics that are clumsy, somewhat brainless, and yet potentially effective… There’s one big problem with this campaign against rooftop solar. 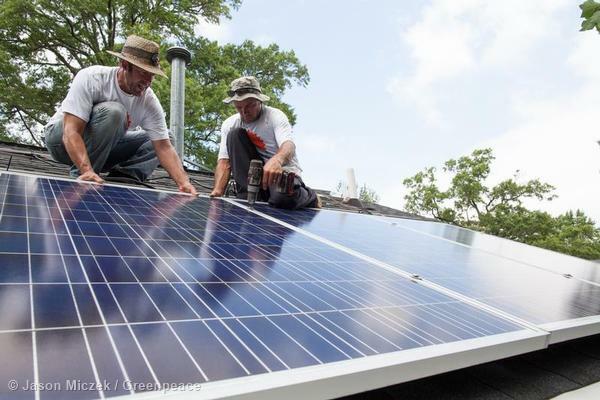 Across the U.S., people love solar power. Their suggestion is that public support for oil and gas development has dropped slightly because more oil and gas is being produced – perhaps because some Americans think the increases in oil and gas development in recent years have been sufficient, and perhaps some have soured as the negative impacts of drilling and fracking for oil and gas become more clear and affect more communities. But heres the thing: renewable energy like wind and solar has also boomed in recent years, while support hasnt weakened at all – and thats in the face of well-funded fossil fuel industry attacks on renewable energy. In fact, seeing a neighbor go solar may just lead to more nearby solar power installations, according to a recent study, as Chris Mooney detailed: The installation of one additional solar photovoltaic rooftop project within the past six months in a given area increased the average number of installations within a half mile radius by .44, or almost one half. 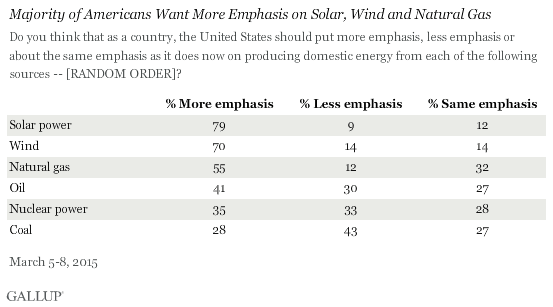 Basically, just seeing more solar installations helps convince more people to go solar. 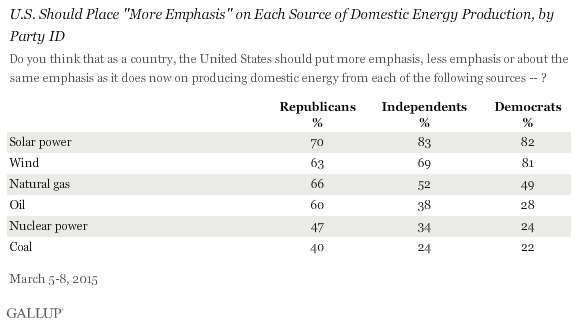 So: coal remains Americans least favored energy source, support for oil and gas appears to have dropped slightly during the oil and gas boom, and wind and solar remain highly popular among all Americans, especially independent voters.